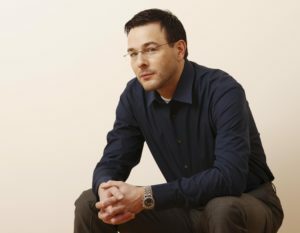 Born into a family of singers, Andreas Scholl, aged 13, was chosen from 20,000 choristers gathered in Rome from around the world to sing solo at Mass on 4 January 1981. Just four years later, Scholl was offered a place at the Schola Cantorum, an institution that normally accepts only post-graduate students, and now succeeded his own teacher there, Richard Levitt. His operatic roles include Bertarido in Handel’s Rodelinda at Glyndebourne in 1998 and at the Met in 2006, and the title role in Giulio Cesare at Oper Frankfurt. He has worked with many of the contemporary Baroque specialists including William Christie and Philippe Herreweghe. 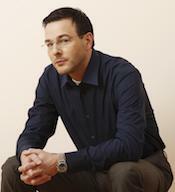 Scholl has released a series of extraordinary solo recordings including: Wanderer – a disc of German Lied in partnership with pianist Tamar Halperin; O Solitude – an all-Purcell album with Accademia Bizantina which won the 2012 BBC Music Magazine award, Arias for Senesino, Heroes – a disc of arias by Handel, Mozart, Hasse and Gluck, Robert Dowland’s A Musicall Banquet, Arcadia – a collection of rare and unpublished cantatas by composers from Rome’s Arcadian Circle, Wayfaring Stranger – a selection of specially arranged English and American folksongs with Orpheus Chamber Orchestra, Bach cantatas with Kammerorchester Basel and Vivaldi Motets with the Australian Brandenburg Orchestra, all of which are released on Decca. His most recent recording, Small Gifts of Heaven, is a collaboration with Dorothee Oberlinger and released on the Sony label this season.